NEVER before has Australia experienced royal fever quite like this before and it's all down to one factor; Meghan Markle. 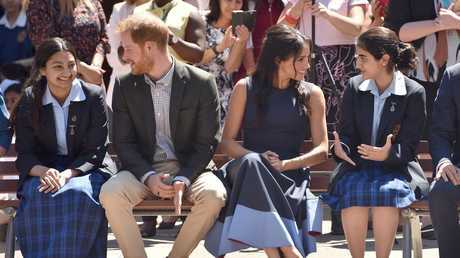 The Duchess of Sussex's pregnancy announcement and down to earth approach during meet and greets has prompted the kind of reactions normally only seen at One Direction concerts. 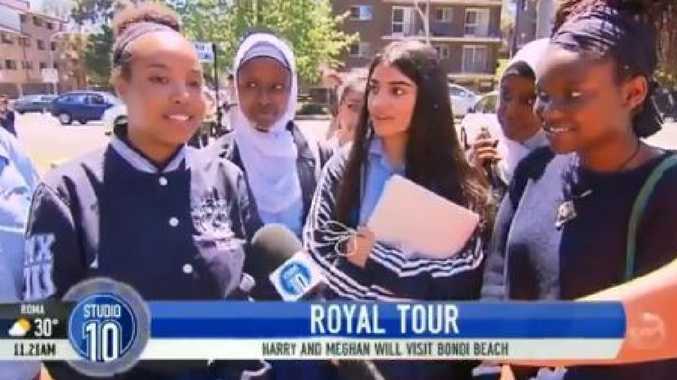 Speaking to Studio 10, a group of Macarthur schoolgirls who were lucky enough to meet the Duchess on Friday perfectly summed up why they (and Australia) were such fans of Meghan - and it had nothing to do with her marriage to Prince Harry. "If I knew I would have looked nicer," one girl complained. "Got a bit of a crush on Harry do you? He's taken," the Studio 10 reporter joked back. "I think I like Meghan more," the student replied. "I love how they are an interracial couple, that's the first time that's ever happened, I feel like that's a strive (forward) for people of colour like me, because I don't see that much happening." Meghan and Harry's baby is a significant moment for the British royal family as it is thought to be the first mixed race heir born into the dynasty. 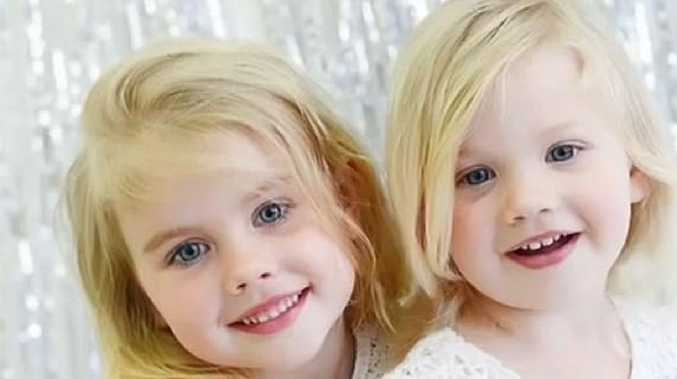 Harry and Meghan's child will be seventh in line to the throne, however, it is not known if it will be given the title prince or princess as that will be at the monarch's discretion. Writing for Elle in 2015, Meghan detailed her struggles growing up bi-racial and how she came to embrace her mixed-race heritage. 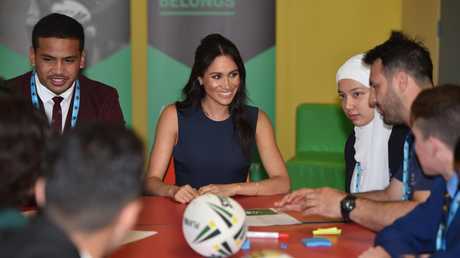 "While my mixed heritage may have created a grey area surrounding my self-identification, keeping me with a foot on both sides of the fence, I have come to embrace that," Meghan said. "To say who I am, to share where I'm from, to voice my pride in being a strong, confident mixed-race woman. That when asked to choose my ethnicity in a questionnaire as in my seventh grade class, or these days to check 'Other,' I simply say: 'Sorry, world, this is not Lost and I am not one of The Others. I am enough exactly as I am.'"